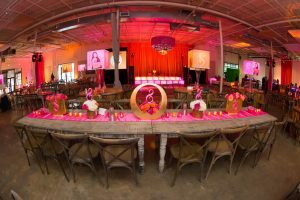 Stevee threw a glittery, gorgeous Bat Mitzvah celebration at ASW. Caterer Zest provided amazing cocktails and appetizers as Stevee’s guests entered cocktail hour. 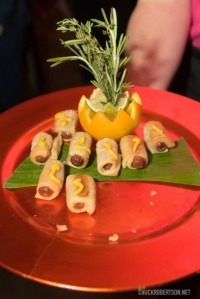 They noshed on Spanakopita, chicken and waffle skewers, chilled ceviche and mini reubens. Guests also enjoyed traditional cocktails, as well as a fabulous vodka concoction from the “S” shaped ice luge, by Ice Sculptures Unlimited. 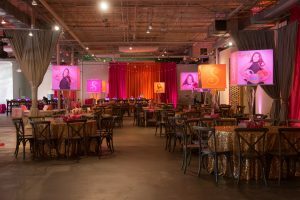 As the adults enjoyed cocktail hour, the kids headed straight into the party space, where they enjoyed appetizers and kid cocktails of their own; they even had grilled cheese triangles on PINK bread! 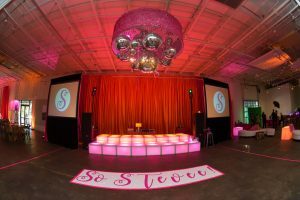 As soon as DJ Mello and his crew with Fever moved all of the adults into the main party space, they kicked off the party! 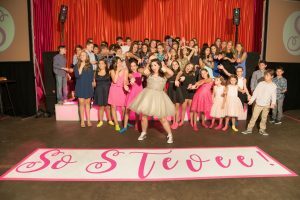 Stevee and her friends rocked out, and Photographer Chuck Robertson captured this great photo of all the kids on the dance floor. Shortly after a few songs, dinner was served. 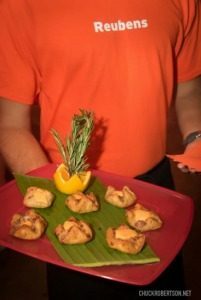 Guests feasted on a Slider Bar, boasting both beef and chicken sliders, a MAC & CHEESE BAR (whattttt?!?! ), and a variety of small plates including beef tenderloin and fresh salmon. 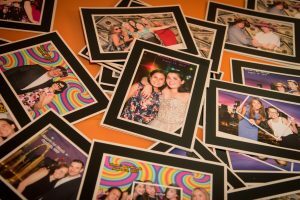 After dinner, the party raged on, and with the help of Memories in a Moment, guests took tons of fun photos to lock in those memories for a lifetime. Should we talk about food more?? We have to mention the decadent dessert display, aptly named “Sugar Shock”. 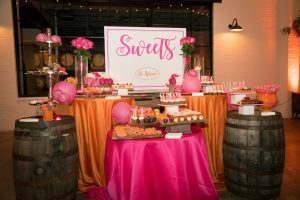 It featured an array of cake pops, Rice Krispy pops, S’mores, chocolate dipped Oreos and SO. MUCH. MORE. We’ll stop there though so you don’t attempt to eat your computer screen. 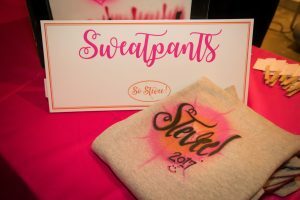 The party came to a close with a to-go snack by Slushie Spot, custom sweatpants favors by Draper….and what party isn’t complete without a final song/tribute circle to “How Far I’ll Go” by Moana?! 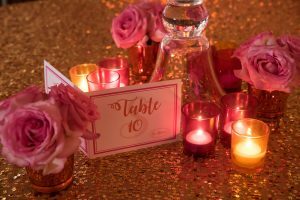 We think it’s safe to say that an amazing time was had by all.